Professional renovation outcomes. Any size project is fine with them. 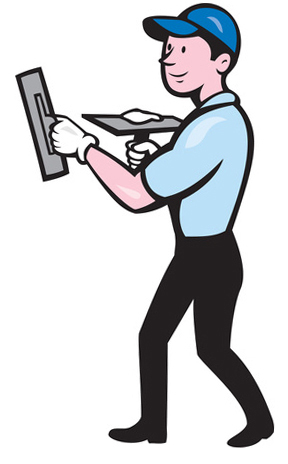 All your repairs done fast. Safe and veteran Oregon staff. Free estimates. Budget friendly and flexible. They guarantee you will enjoy the final result. Interested in getting someone put up some new walls or ceiling at your place? Or it could be you have a wall or ceiling which doesn’t look great any longer. And you would like it fixed. Find some seasoned wall and ceiling installers. Much of their projects are concerning existing buildings, carrying out maintenance and restoration, but they also complete new building projects too. They tackle all types of repair projects. While some projects can be significant replacements of water-damaged sheetrock, other projects involve only a wall or ceiling patch or two. And they can help out both regular homeowners and commercial property managers. Whatever you want to get done, they can probably take care of it for you. 1. Truck the gypsum drywall sheets to the job location. 2. Hang the sheets to the walls. 3. Pick up and take away trash and excess product. When the surface areas are sanded and dry, they’re all set for painting. If you would like them to work on only one or two of the steps, rather than completing the full job, they can do that. For example, some property owners ask them to only complete the delivery, or just do the delivery and the primary installation part of the process, and let them take over from there. Some folks want to put the sheets up by themselves, and they just want someone to come later and do the taping, mudding and finish steps. Plus they can mount specialty moisture-proof fiberglass-based boards in damp areas, or backer board solutions such as cement board on wall surfaces where you want to place tile. There are plenty of ways a person can unintentionally poke a hole in their wall. And there are plenty of spots where a water line connection could develop a leak and eventually ruin a ceiling. Now, if you have just one or two smaller holes or dents to fix up, you might attempt fixing them on your own. A hole too big for just joint compound needs a patch. Homeowner patches do not always look excellent. It’s hard to make the surfaces level and the surface texture right so it all matches once it’s painted. Even though we urge property owners to not hesitate to take on little wall repair projects, we usually feel that bigger repairs, especially when they are in primary rooms of a house, be addressed by a professional. One of the tricky elements of this process can be to match the surface texture of the new materials so it seems like the existing material. Fixing one or two separate holes or cracks. Repairing a few bad panels so some walls or room can get painted. Taking out and replacing pieces of sheetrock ruined by water. Completing the removal and replacement of a whole area or room. Often due to a water malfunction or other event. From small problem fixing to major replacements and repairs, they have the experience getting it done. Simply unfinished surface – just taped, suited for non-finished work or storage places or garages. Smooth surface finish – zero extra texture, all ready for painting or wallpaper. Basic texture – gives you a little extra depth. Complicated texture – requires additional troweling and more tricky to do. Texture matching – make your new surfaces match up with your existing ones. There were some years not too long ago when many home ceilings were sprayed with that popcorn ceiling texture. Local technicians are able to rapidly remove and replace that ceiling coating with a newer texture. This company takes on home and business improvement projects from the East Portland suburbs to further east. They try to carry out affordable projects which make their clients happy. They use only high quality products, safety gear and tools to get your job completed safely and quickly. Their staff is tidy and considerate of your property. They attempt to shield your possessions from project dust or clutter. They strive to leave no clutter for the property owner. They take away all the scrap supplies and rubbish when they’re done. They work on a selection of remodeling jobs from high-priced custom homes to simple repair tasks and multi-family or industrial buildings. They work with any person, from individual homeowners to business building managers. Everyone’s assignment will be different. They will be very happy to provide you with an estimate. While situations can be similar to one another, most projects are fairly unique. No two projects are just alike. At times it’s hard to give a cost quote on the phone, but they will try. If you have no interest in doing the priming and painting, you might have them do that phase of your project too. A number of homeowners choose to use a different person do the painting. 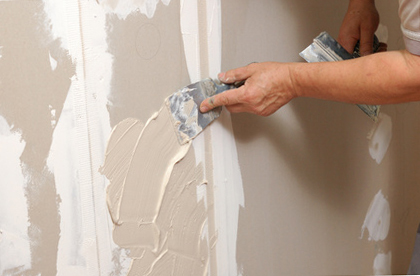 Some homeowners want to take on the painting themselves. They do many jobs East of Portland. So if you’re in or near the 97030 and 97080 zip codes – just call. They work at jobs from the far east Portland suburbs to Gresham and the 97030 and 97080 zip codes.